— 02/03/2014: A pedestrian stop on the unit block of Commerce Drive resulted in the arrest of a 25-year-old male for possession of drug paraphernalia and an outstanding warrant for his arrest. — 02/08/2014: A report was received by two residents that live side by side in the 500 block of Thomas Avenue that someone entered there vehicles that were parked in front of their homes and took all the loose change in the vehicles. — 02/11/2014: A resident on the 100 block of Highland Avenue called to report a scam involving someone claiming to be from http://www.pch.com and wanting him to send them money. They hung up when he said he was calling the police. — 02/11/2014: A pedestrian stop of a 41-year-old male in the unit block of Clements Bridge Road resulted in his arrest for possession of drug paraphernalia and outstanding warrants. — 02/12/2014: A burglary was reported in the 1305 building of the Willows Apartments and electronics were taken from the apartment. — 02/14/2014: A motor vehicle stop regarding a temporary restraining order violation resulted in the arrest of a 41-year-old male for contempt of court and a 39-year-old female for possession of drug paraphernalia. — 02/14/2014: A pedestrian stop in the area of Timber Drive and Little Lane resulted in the charging of a 25-year-old male for soliciting without a permit. — 02/15/2014: A call regarding a suspicious male sleeping in a hallway of the 200 building of the Barrington Mews Senior Complex resulted in the arrest of a 50-year-old male for being a fugitive from justice out of the state of Delaware. — 02/19/2014: A pedestrian stop in the area of the 400 building of the Barrington Mews Senior Complex resulted in the arrest of a 45-year-old male for outstanding warrants. — 02/21/2014: An attempted burglary to a vehicle was reported outside of the 1306 building of the Willows Apartments. — 02/23/2014: A theft of boots was reported from in front of an apartment in the 1306 building of the Willows Apartments. — 02/24/2014: A motor vehicle stop for an expired inspection sticker resulted in the arrest of the 31-year-old male driver for obstructing the administration of justice. — 02/25/2014: A request for the removal of a female from a residence on the 100 block of Haines Avenue resulted in the arrest of a 47-year-old male for outstanding warrants and a 29-year-old female for outstanding warrants. — 02/26/2014: A report for a theft of money was received on the unit block of East Gloucester Pike. 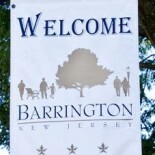 This entry was posted on March 16, 2014 by Barrington Bulletin in Crime and tagged police log.